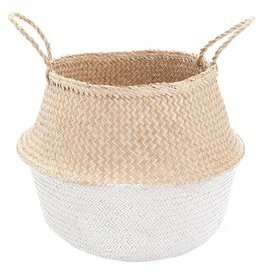 Beautiful, multifunctional seagrass belly basket with brown leather handles. 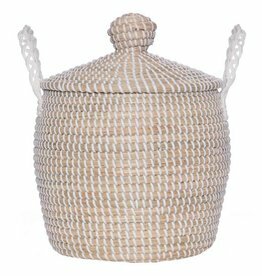 Handmade in Vietnam under fair trade conditions. 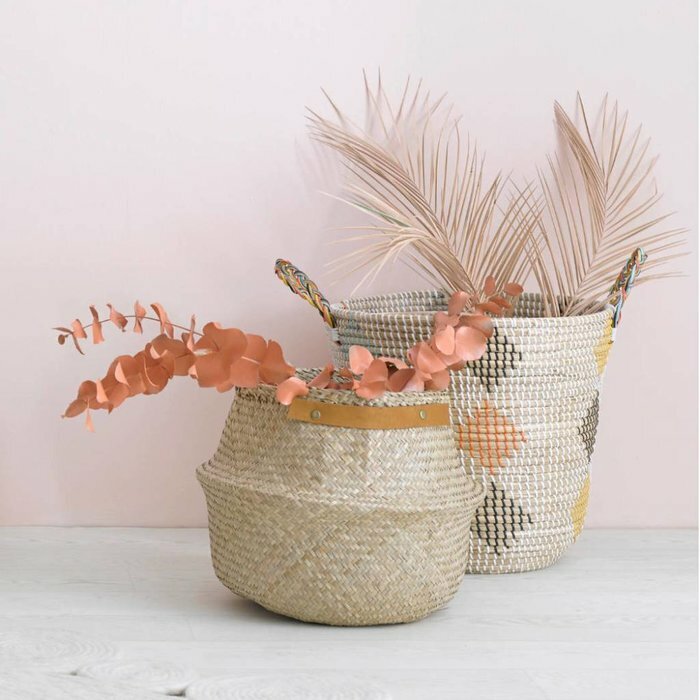 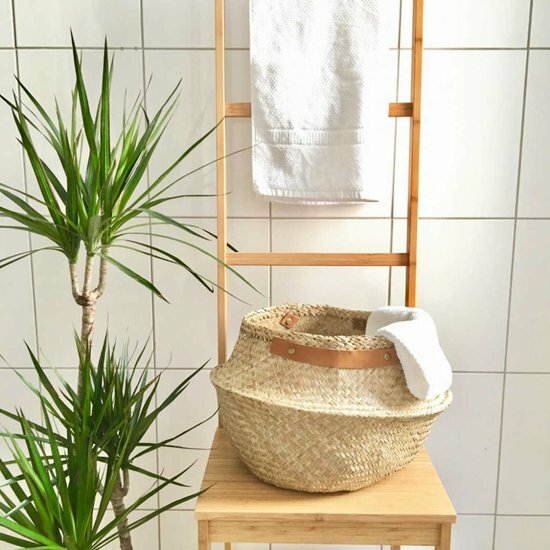 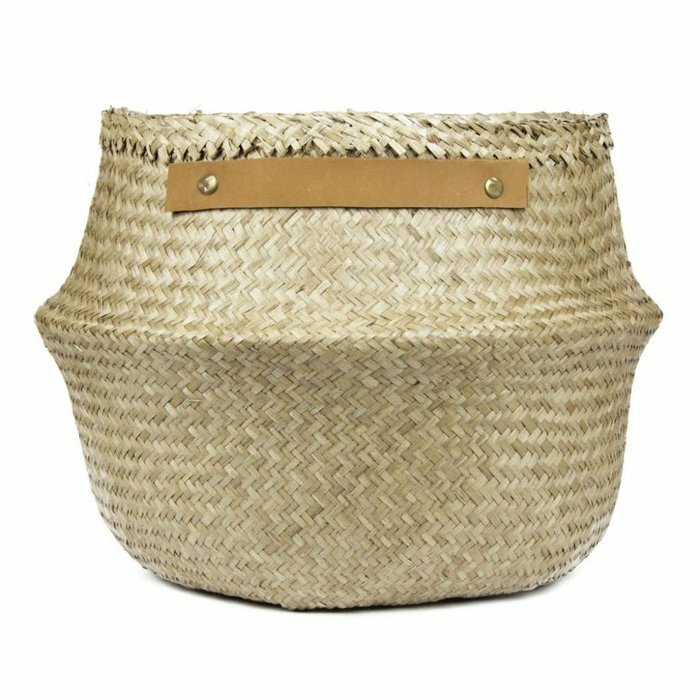 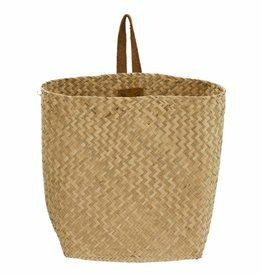 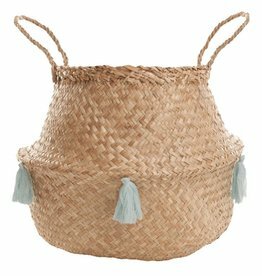 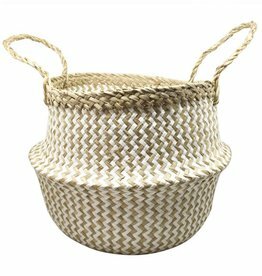 This elegant seagrass basket is ideal as a storage basket for toys or magazines or simply as a beautiful accessory in your living room.